Donald Trump clearly has issues with Muslims. The latest example is his vow to ban all Muslim immigration to the United States, declaring he wants a “total and complete shutdown of Muslims entering the United States until our country’s representatives can figure out what is going on.” Before that Trump had called for depriving American Muslims of civil liberties simply because of their faith by way of warrantless surveillance of Muslim Americans. And he has even gone as far as to indict all Muslims by declaring recently that “worldwide the Muslims were absolutely going wild” cheering on the 9/11 attacks.But there’s one type of Muslim Trump really loves: The ones that make him big bucks. You see, if a Muslim can show Trump the money, then all those concerns he has with Muslims go right out the window of his private jet as he jets off to the Gulf to cash in. 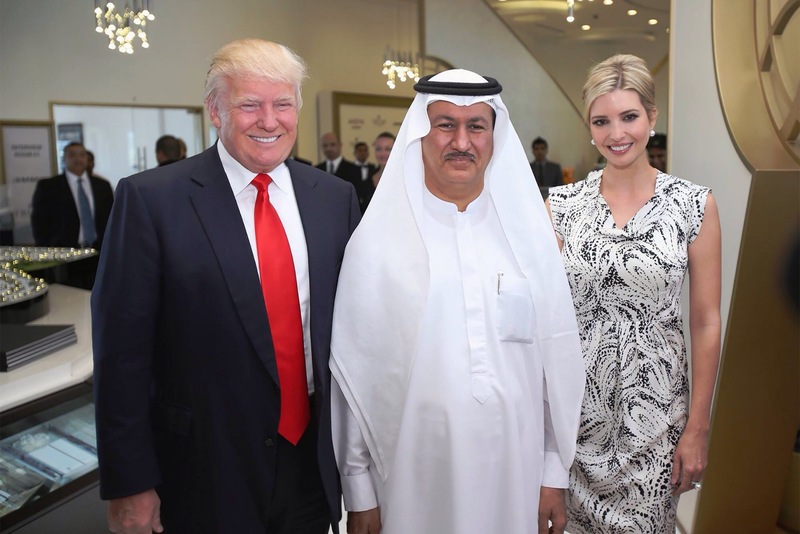 For example, Trump loves Hussain Sajwani, head of the Dubai luxury real estate company Damac Properties. Trump has called the Muslim Sajwani a “good friend” and a “great man,” among other accolades. And in May 2014, The Donald even flew off to Dubai to spend time with his Muslim friend as they announced the massive real estate project they were teaming up to create in the United Arab Emirates.